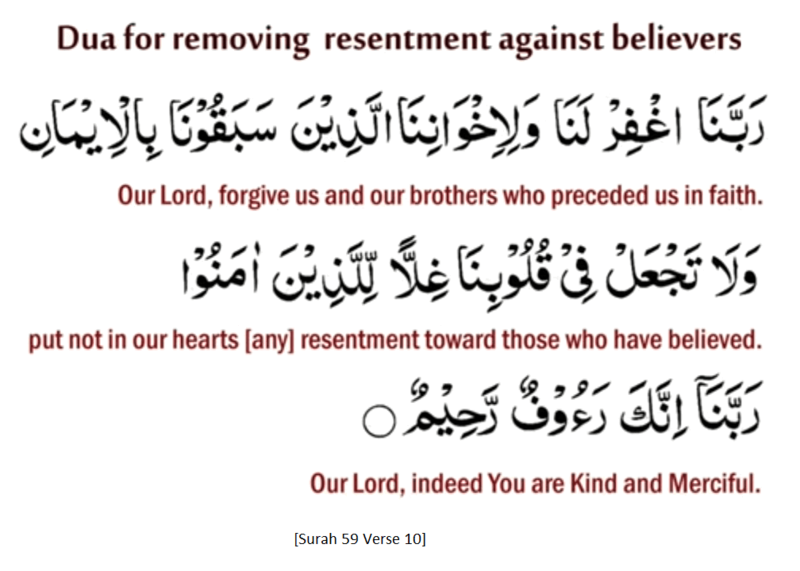 Meaning: Our Lord, forgive us and our brothers who preceded us in faith and put not in our hearts [any] resentment toward those who have believed. Our Lord, indeed You are Kind and Merciful. Jazaa'akallah Khair, dear brother. Thank you.